Voter participation in the U.S. is critically low and 60 percent of non-voters don't vote because of process issues. The internet has simplified many aspects of our lives, but casting a ballot and understanding local election procedures can still be complicated and confusing. Helping every American vote in every election—local, state, and national. We make it easy to register and request absentee ballots. TurboVote keeps track of voter registration, absentee, and vote-by-mail rules for all 50 states, so you don’t have to. We help you remember everything (about voting, at least). TurboVote will send you text & email reminders about registration deadlines, upcoming elections & where to vote. Since 2012, more than 3 million voters have signed up for TurboVote through partnerships with more than 300 institutions of higher education and 50 nonprofits and organizations, including Starbucks, Univision, Facebook, and Google. TurboVote helps you vote—nothing more. We’re committed to protecting your data, so it’s only ever used to provide you with voting information and services. To that end, we encrypt your connection to our site, so your sign-up information stays just between us. We take precautionary measures to restrict access to only those partners and services we need to make TurboVote run. And we deliberately don’t collect or store ID numbers. We don’t sell your information, or share any more than is strictly necessary to power the TurboVote services you know and love. And we’re happy to answer any questions you have about our data and security practices. Help America reach 80 percent turnout by 2024. We're bringing leading companies and organizations together to increase national voter turnout and participation across America. Sure, it’s an ambitious goal. But when America’s biggest brands and organizations come together in a nonpartisan, long-term commitment to increase voter participation, anything is possible. 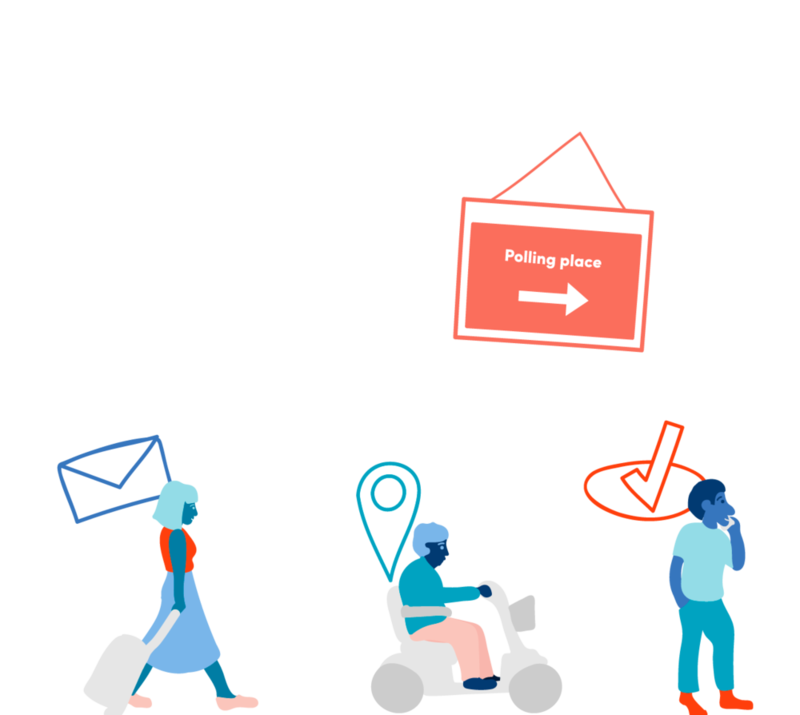 The TurboVote Challenge asks partners to commit to helping employees and customers to register to vote, ensure their registration information is updated, and to participate in local and national elections. These programs strengthen employee and consumer engagement. But more importantly, they strengthen our democracy.